Autoscribe Informatics will be demonstrating the Matrix Gemini Biobanking Management System at the ABNA Conference, The Art of Biobanking, Pullman Mercure Albert Park, Melbourne, Australia, October 18­-19, 2018. Matrix Gemini Biobanking provides a highly configurable environment for all aspects of biobank, biorepository and clinical trials management. It provides an ideal and proven solution for managing bio-samples (such as blood, tissue, DNA etc.) to assist with compliance to regulatory requirements. 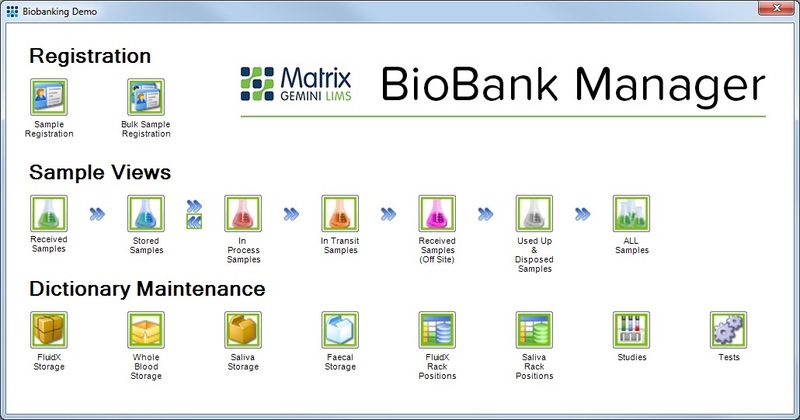 Using the built-in graphical configuration tools, Matrix Gemini Biobanking solutions can be adapted quickly and easily to represent exact user requirements in terms of workflows, screen designs, menu designs, terminology, report designs and much more. This configurability means that it can be readily adapted to meet both current and future requirements without the need to write "one-off" custom code. This solves the problem that the needs of every biobank are different and allows every biobank to quickly adapt the management system for their exact needs. This extends the potential life of the system and reduces the cost of ownership. Since the core code remains unchanged when the system is configured and re-configured, minimal re-validation is necessary. Full sample tracking includes parent/child samples, aliquots, and derivatives along with the complete patient genealogy record, if required. Complete location recording from room to freezer, shelf, container and container position is possible. A full audit trail of all changes is provided, together with storage location auditing and reconciliation with chain of custody reporting. Samples can be tracked when they are removed for research and are closely monitored to ensure that they are disposed of correctly.